The foundling Heathcliff was adopted by the Earnshaw family; loved by his new father and new sister but hated by his new brother. Heathcliff’s life gets even more difficult when his father dies, misunderstandings separate him from his sister Catherine, and Catherine marries a childhood friend. Heathcliff’s only goal in life becomes revenge. One of my reading goals is to read more classics. 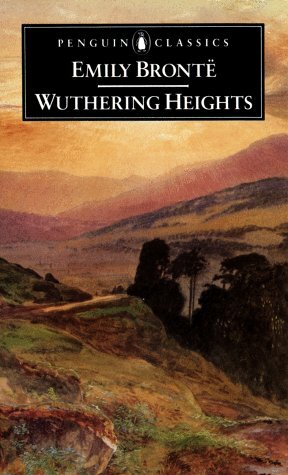 Wuthering Heights is definitely a classic, one of the most famous romance novels in British literature. But I didn’t think it was as good as I thought it would be. Yes, it’s passionate, and yes, I’m sure it caused a lot of commotion when it was published. But I thought it was too chaotic and couldn’t really keep up with events, and there was not a single character that I liked. On top of it all, some dialogues were very hard for me to understand (dialects), so maybe I should have read it in Swedish to understand it all. Shy and genteel Elizabeth White is evacuated from London to the large family O’Connor in Kilgarret, Ireland during the Second World War. 10 year old Aisling O’Connor is her exact age, and even though the girls are complete opposites, they become best friends. Destiny separates them as they grow up, but they keep in touch during the following decades. 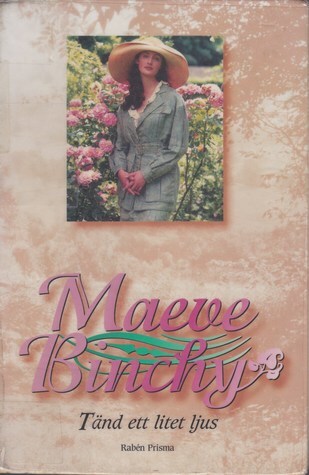 I’ve read one or two novels by Maeve Binchy before and I liked her writing style. This is her very first novel, and I just happened to see it at my local library and borrowed it. I’m glad I did, because it’s one of the best books I’ve read! It was interesting to read about both Ireland and London during the war, but what I liked the most about this novel was the amazingly close friendship between Elizabeth and Aisling, and getting to follow them both as the grew up from little girls to young women. Harry Potter’s youngest son, Albus, starts at Hogwarts and finds out that it’s not easy to be a son of one of the most famous wizards of all time. While he struggles to find his own destiny, both he and his father learn that darkness can be found in the most unexpected places. This is counted by many (me included) as the eighth Harry Potter book. It’s the first official story to be published after the series was finished many years ago. But it’s not a novel, it’s a stageplay and this is a manuscript. So it’s a different kind of reading, but my review is purely based on the story itself. Unfortunately this story didn’t meet my expectations at all, even though they were low to begin with. Harry, Ron, Hermione, and all the other characters I grew up with and got to know better than myself, didn’t feel like…them. Of course they have grown up and experienced many more things since we last met them, but many basic personality traits felt simply wrong. Several scenes were exact copies of scenes from the earlier series, and some readers/visitors might find this fun and cute, but I just thought it was unoriginal and boring. My biggest issue was several things that I thought were obvious plot-holes or simply felt incredibly implausible. And the story itself was sort of chaotic. (Maybe it would be less chaotic if I went to see the stageplay live). 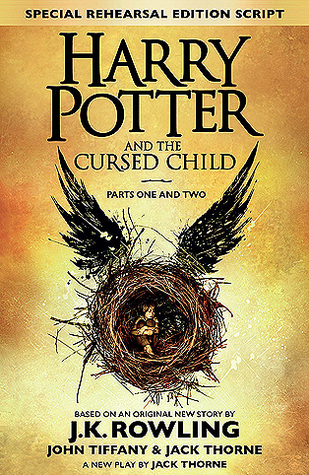 Still, it’s a Harry Potter story, and I’ve wanted more of Harry Potter for such a long time that this book still gets an okay rating.